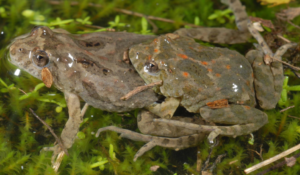 All are welcome to an evening about the Sloane’s froglet, a special Thurgoona local. • Be sure to wear warm clothes and bring a torch! Where: Thurgoona Golf Club, 1 Evesham Place. Presented by NSW Office of Environment and Heritage and Woolshed Thurgoona Landcare Group. Gold Coin donation to support Landcare welcome!